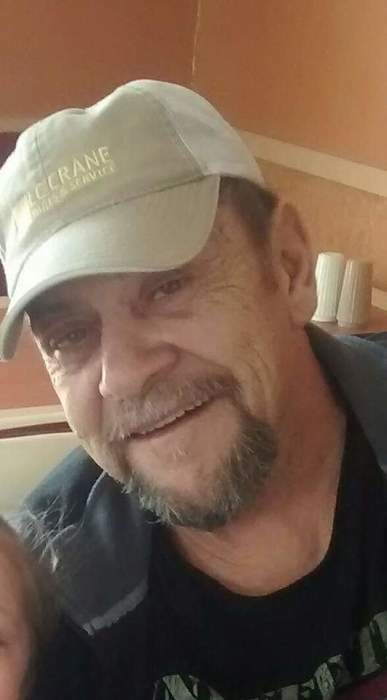 CLEVELAND - David Andrew Tidwell, age 63, of Cleveland, MS, departed this life on Sunday, November 18, 2018 at the Cleveland Health & Rehabilitation Center in Cleveland. David was born on February 06, 1955 to Nelson Andrew and Mary Sue (Callahan) Tidwell in Shelby County, Tennessee. He was a longtime resident of Walnut, Mississippi. In his younger days he worked as a tankerman on a riverboat. He later on became a Supervisor for Pep Industry. David loved to fish, hunt, ride his motorcycle and spending time with his family. He was of the Apostolic faith and loved going to church when he was able to attend. He was preceded in death by his father, Nelson Tidwell, Mother, Mary Sue Callahan Wammack, one brother, CB Waldrop, and one sister, Linda Alexander. He is survived by Daughter, Brittney (Kevin) Barnes of Walnut, MS and a Granddaughter, Bailey Barnes. Memorials may be made to donor’s favorite charity in David’s memory. Your thoughts and prayers for the family are greatly appreciated. Cleveland Funeral Home is in charge of local arrangements. The on-line guest register may be viewed and signed at www.clevelandfuneralhome.net.